This B31.3 piping sample is a simple heat exchanger designed for an Ontario installation. Throughout this article, differences in provincial registration requirements and methods are discussed. Is it a Piping System? “Vessels do something, piping moves fluid from one location to another”. This sample project is clearly a piping system. The heat exchanger gets registered separately with its own vessel CRN number. The exchanger’s PRV (Pressure Relief Valve) is located in this piping system. What is the Scope of Registration? Each province has its own rules for the scope of registration – see our CRN Piping Flowcharts. Using the flow charts, the temperature, pressure, diameter and working fluids determine which lines need registration. Usually only some of the piping system needs registration. It is the submitters job to determine if registration is required. Ontario – the high temperature lines need registration. Ontario – the cooling lines do not require registration. The high temperature lines need registering but the cooling water lines are exempt. Repeating the process for Alberta shows all lines are exempt. When in doubt ask, or apply for registration. Some customers will also ask for a complete system to be registered, even if parts can be exempt. Sometimes the jurisdictions will decline based on use – this provides very useful documentation of exemption. Keep the letter on file for the lifetime of the installation. This flow chart is not part of the submission. The submission must clearly show the scope of registration. A simple markup of the drawing works for all provinces except Alberta. Alberta requires a separate line list (Submission Requirements for Registration of Pressure Piping Designs in Alberta). This line list is a controlled document complete with drawing and revision control and P.Eng. / P.E. stamp. Although mandatory in Alberta, this list is also useful in other provinces, especially with larger systems. Is it Piping or a Fitting? Where possible, registering piping as fittings has advantages. Piping can only be built for one installation address. Fittings can be installed at any address in any province it is registered in. Piping must be signed off by an authorized inspector. Fittings can be signed off by the shop’s inspector according to the in house QC program. The Sample shown here is registered as a piping system for use at only one address. If the manufacturer of this sample later builds another copy for the same location, or a different address, the registration process needs to be repeated. Alberta now has a way of registering “mobile” piping systems that are not registered to an address. Some other jurisdictions will allow oversize fittings to get around this difficulty. 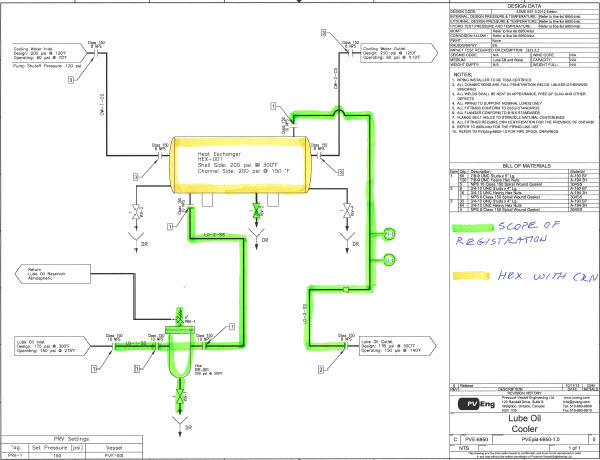 It is not possible to register a piping system without drawings and code calculations. The calculation set determines the required wall thicknesses and welding details to safely contain the operating fluids. The fabrication drawing is sufficiently detailed to allow purchasing, fabrication, inspection and testing to proceed without need to reference the calculation set. This sample has both P&ID and pipe spool drawings. 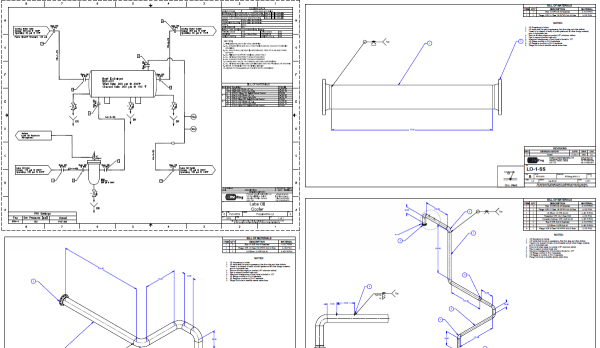 With enough details on the P&ID drawing, the piping spool drawings are not required. It is understood that field dimensions on a piping system can be different from the registered drawing. If the registration is based on a P&ID, many dimensions will not even exist. Much of British Columbia and parts of other provinces are in strong seismic zones. Pipe stress analysis programs like Caesar can provide these calculations. Calculations or Finite Element Analysis (FEA) can prove the supports. All provinces require P. E. or P.Eng. sign off as outlined in B31.1 and B31.3 (see B31.3 301.1 “Qualifications of the Designer”). 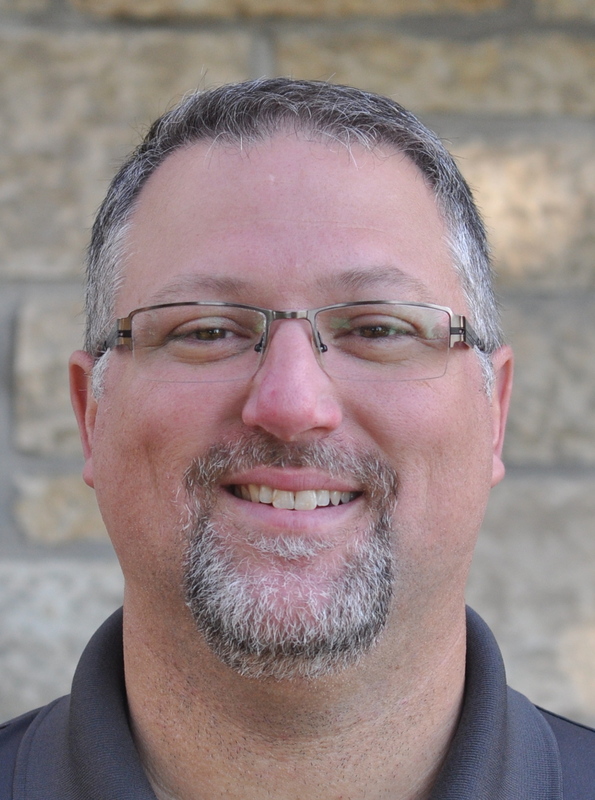 In addition, Saskatchewan only allows Saskatchewan P.Eng. Stamps, and Ontario only allows Ontario P.Eng. stamps. All other provinces will accept any qualified Canadian P.Eng. or North American PE. British Columbia has some of Canada’s highest seismic risk zones combined with areas of high population. Pipe stress analysis is required for B.C. submissions. However pipe stress analysis should also be considered for other areas of Canada that are also high risk zones. Failing seismic pipe stress analysis of a heat exchanger piping. The tee is overstressed. Stresses brought under control with the addition of a guide. B.C. pipe stress analysis goes beyond just checking for seismic loading. Thermal, wind, weight, and interface loads must also be examined. 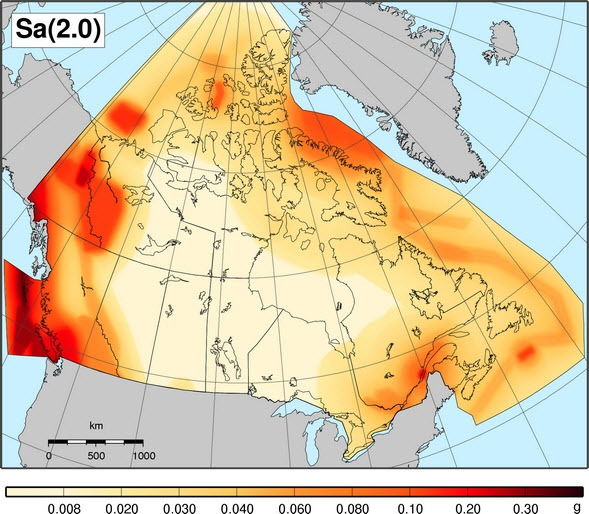 Other areas of Canada also have high seismic loads, and high stresses from weight or thermal expansion can occur anywhere. 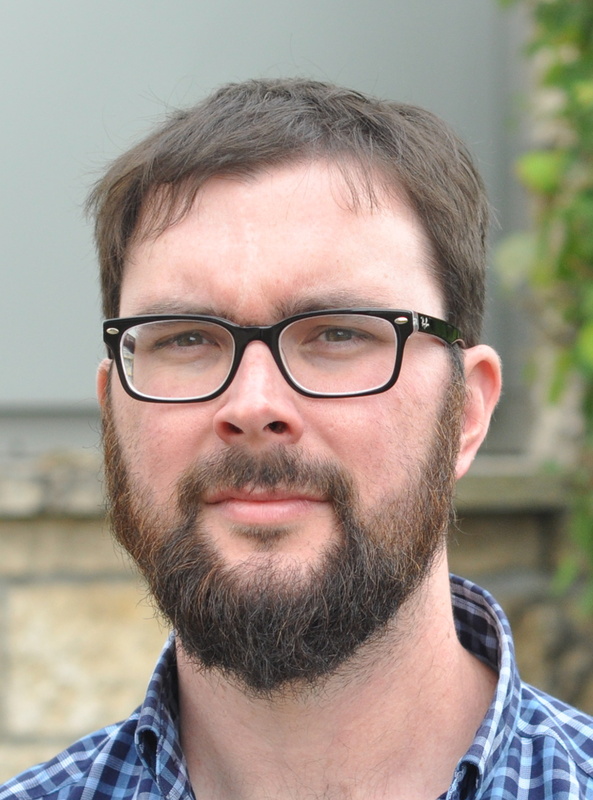 Pipe stress analysis can be useful even if not mandated. Non ASME certified pressure relief equipment like backpressure valves are not permitted. Be careful where your PRV exit line flows to – there cannot be any valves blocking the way. 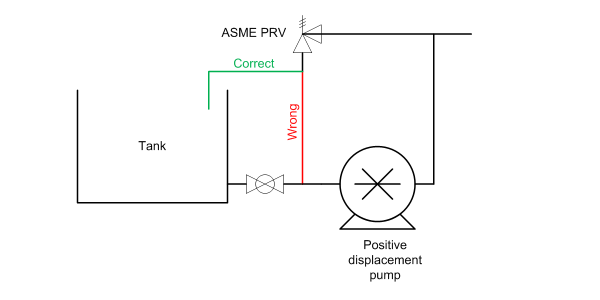 This metering pump piping shows a typical problem: a valve exists between the exit of the PRV and the supply tank where the relieved pressure is flowing to. A PRV, not a backflow valve, is required. PRV list for Alberta. This controlled document also needs a P. E. / P. Eng. stamp. (a) Provision shall be made to safely contain or relieve (see para. 322.6.3) any expected pressure to which the piping may be subjected. Piping not protected by a pressure relieving device, or that can be isolated from a pressure relieving device, shall be designed for at least the highest pressure that can be developed. This use of overpressure protection by system design – “piping not protected by a pressure relieving device… designed for at least the highest pressure that can be developed” – has restrictions in Alberta and Saskatchewan. Of the two guides, Saskatchewan’s is easier to understand, but both have similar requirements. Adding PRVs is easier than meeting the restrictions. Designers are often surprised by the number of PRVs required to register their systems. A CRN list. This controlled document is useful for submissions to all provinces. This is a good way of checking that your specified components have the correct rating. Note that materials are listed to ASTM standards not ASME. If this was a Section I piping system, the materials would be ASME not ASTM. Note that pipe does not carry a CRN because it is calculated to code rules. Although elbows and tees are calculated, they need CRNs – the CRN proves that the B16.9 fittings can be calculated as pipe. Finding registered components can be difficult for non-standard items, and only ACI (ACI database) and Alberta (ABSA database) provide public listings. We have some listed on our website as well (PVEng CRN Listing). Registration is handled the same way as a pressure vessel in Canada. The application is examined by a reviewer. Any missing information is requested and design shortcomings are fixed as needed. Usually the process takes a few weeks to a couple of months, but isolated cases have taken over a year. Do what you can to get all of the above mentioned required information up front. See the piping page for more details on the required paperwork for each jurisdiction. Officially, fabrication must wait for the registration to be complete, but many projects cannot wait. If the manufacturer must proceed with fabrication, they risk rework or scrapping a system if design or QC changes are required. There is no review process for Quebec piping. The piping is built and shipped as with any other province, filling out the correct provincial forms. The drawing, calculation set and quality documents are shipped with the pipe to be inspected by the onsite Authorized Inspector. Our piping page has a list of QC requirements as it varies by province. Except in very special circumstances, consider it impossible to register piping without the correct certification. The QC certificate is part of the submission. Unless it is a fitting, an Authorized Inspector sign off is required on the project. That means that the AI must review before fabrication starts, during fabrication, and provide the final sign off (just like a pressure vessel). The sign off is done on paperwork appropriate for the target province. Each province has different forms. After the piping system is shipped and installed it will be signed off by the sites Authorized Inspector prior to start up – again just like a pressure vessel. Unlike vessels, the piping does not get National Board registered. What happens with the paperwork? From BCSA (British Columbia): “All applicable piping system construction data reports shall be available for review by the Safety Officer at the installation site.” Shipping the paperwork with the piping works.